PDF Converter Elite is rich feature electronic document creating and converting software used to create, edit and convert PDF files with easy steps. 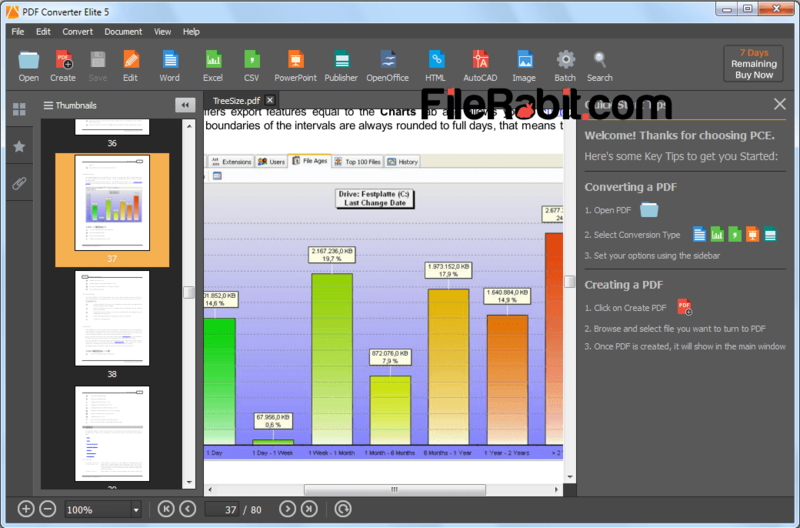 PDF Converter Elite is all in one PDF file converter that can create new PDF documents, edit existing documents and convert documents into image, Microsoft Office Word, Excel, Power Point, OpenOffice, HTML, AutoCAD, Text, Image and Publisher file types. Creating new PDF files with adding custom images, text, logos, security and tables is much simpler comparing to any PDF utility software. Microsoft Office letters, applications, application forms, admission or fee forms, curriculum vitae’s can be protected through PDF conversion. 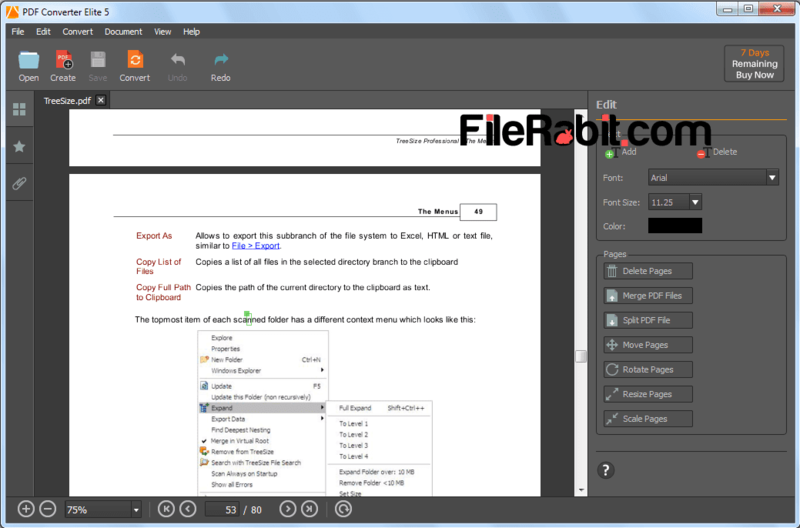 PDF Converter Elite will help us in conversion between editable to non-editable documents. Secure company profiles, letter pads, secret documents and other personal data and files in PDF electronic documents. Scan documents directly in PDF format or convert JPG/JPEG/PNG/BMP image files into PDF document files. Many of college and university forms were located in PDF form that is more secure and non-editable data comparing to word or excel file extensions. The trial is free to use it for 7 days but it will convert or create PDF up to 3 pages. A complete business solution which includes all file format support and conversion between Office, web and image file extensions. Adobe Reader Pro, Foxit Reader and Wondershare PDF Converter are similar software but unable to complete small business needs so we recommend PDF converter pro that is perfect solution. A light, smart and professional converter, electronic document creator and secret document handler. All in One Converter: Any PDF file based on any textual language can be converted to JPG/PNG/BMP, Office Word, Excel or Power Point, HTML, AutoCAD, Open Office file formats. Simple & Fast: A simpler and a responsive application that will save time as well as money. It needs 3 to 4 clicks to convert any PDF electronic document file into target format without seeking tutorial. Change Quality to any pixels or resolution to handle file size problems. 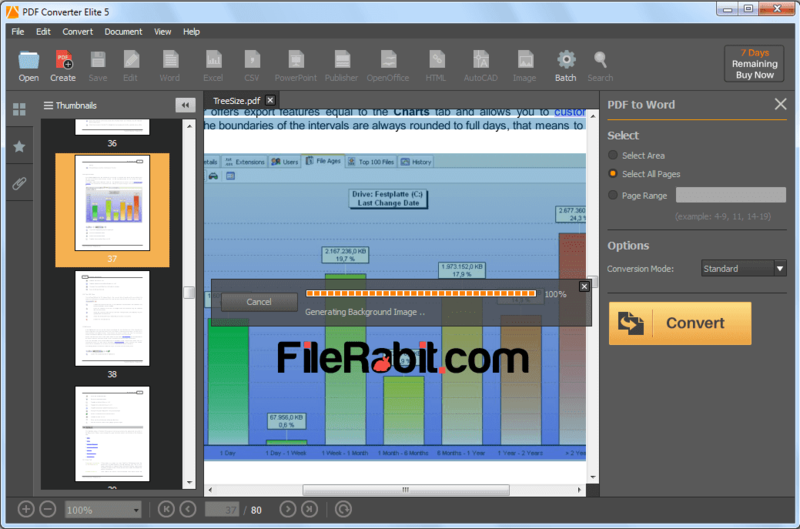 Create & Edit PDF’s: PDF Converter Elite is No #1 solution to handle next generation documentation and epapers. Simply drag images to create a new PDF file or drag any PDF file to edit it directly or convert it into Microsoft Office supported files foe ease and access.